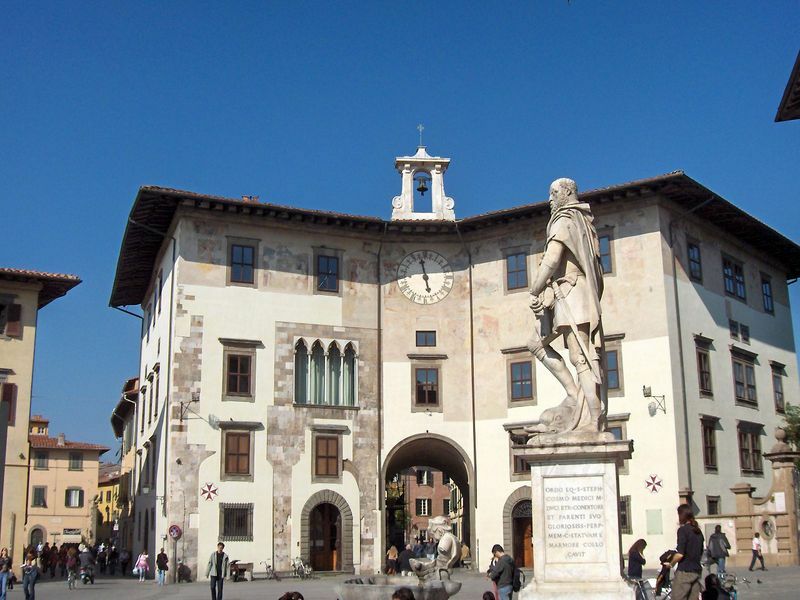 Around this piazza there are many historic buildings with rich histories. In the 16th century Giorgio Vasari was commissioned to modify it. 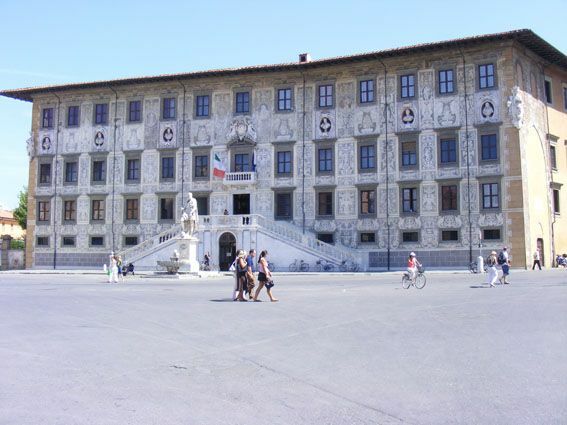 The Palazzo dell’Orologio to the north was constructed on the site of tower where a group of noblemen accused of supporting Pisa’ s enemies died of starvation, an event which Dantewrote about in his Inferno. Palazzo dei Cavalieri and the piazza of the same name are named in honour of the religious and military order of Knights of Saint Stephen. Vasari was commissioned to remodel the palazzo and create the Church of Saint Stephen of the Knights. (tel. 050 58 08 14). Also around the piazza is the Pisan-Gothic Church of Santa Caterina housing Nino Pisano’s artwork. This Pisan-Gothic style church on Lungarno Gambacorti dates back to the 14th century. It was constructed in order to keep a thorn from Jesus’ crown. Exteriors and interiors are totally different. The exteriors are intricately ornate with tabernacles and statues while its interiors are not at all. The Gothic Madonnna of the Rose by Andrea and Nino Pisano is a particularly beautiful piece. The 15th century Torre Guelfa off the church provides lovely views of Pisa after the exhausting but rewarding 200 step climb. 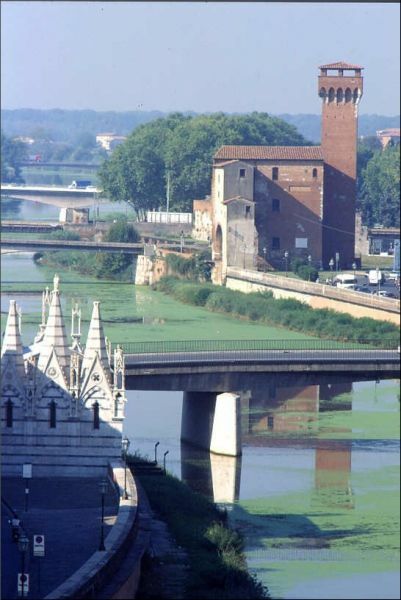 For both sights, the tower and the chiesa, there is a combined ticket available.